Matthew Vaughn has sure kept his X-Men: First Class film tight lipped so far. Now we find out today that the trailer will debut this Friday in front of Michel Gondry‘s The Green Hornet. The film stars James McAvoy, Michael Fassbender, Rose Byrne, January Jones, and Kevin Bacon and hits theaters on June 3rd. You can click here to read the trailer description we posted last week. Right after we posted this I saw a report on Superherohype saying that this is not true. 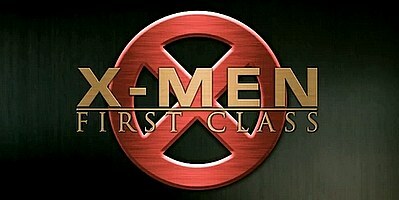 The X-Men: First Class trailer will not show in front of The Green Hornet. The site was contacted by 20th Century Fox who tells them that the studio is still trying to figure out the launch date. We'll most likely get a first look at the movie during Fox's broadcast of the Super Bowl on February 6th, but Fox wasn't able to confirm that.